Neosil Corporation is a specialized company in producing dental impression material. And as a result of the continuous development of technologies for domestic production of impression material since 2005, we have achieved the product standardization and were recognized to have high qualities for years; furthermore, exported our products to about 30 countries. 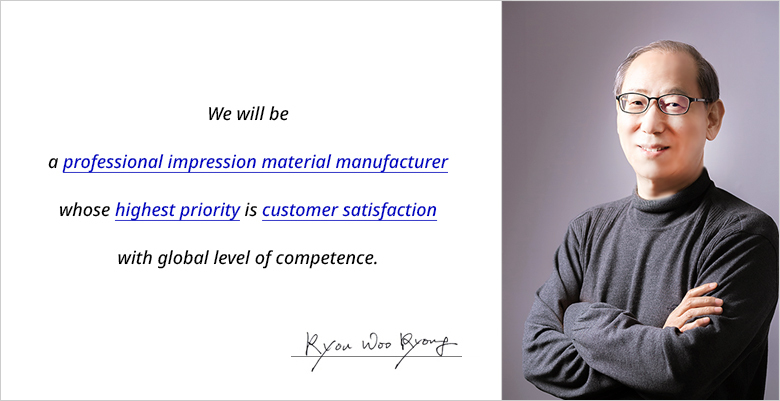 In order to deal with the ever-changing market, we have extended our product line with a larger facility located in Yangsan on 3rd November 2018. we are doing our best with our accumulated technical skills to tailor our products to customer’s various needs, and we will eventually be a pioneering company as an impression material brand by diversifying our products. Based on stable internal management and customer trust, we will repay your expectation and support with the best technology and quality in order to produce values that will satisfy both the company and the customers.